Description: MARCOM's ''Accident Investigation'' Videotape Program shows employees steps that are taken in an accident investigation, and highlights how important it is for employees to fully cooperate with any inquiry. It also points out that while an investigation's focus is to determine the cause of an accident, the overall goal is to prevent similar accidents from happening again. The Videotape includes information on the goals of an accident investigation, securing an accident scene, ''root-cause'' analysis, the importance of investigative interviews, assisting in an accident investigation, the importance of warning signs in accident prevention, reporting the ''near misses'', the role of policies, equipment and training on accident prevention, and more. The Videotape Program comes with a comprehensive Leader's Guide, reproducible Scheduling & Attendance Form, Employee Quiz, Training Certificate and Training Log. 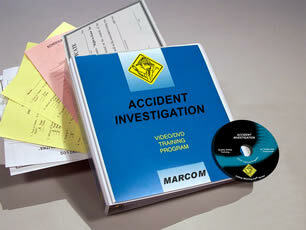 Accident Investigation Video and DVD Excerpt: Each of us at one time or another has experienced an accident. Whether it was something minor or something more serious. Accidents ultimately affect us all. An accident may seem to occur for obvious reasons. Such as unsafe work habits or hazardous conditions. Of course these things can contribute to an accident but there are often other elements which aren't so obvious that can come into play too. That's why we may need to conduct an accident investigation to find out the real reasons behind an accident. There are two main goals of an accident investigation; to determine the cause or causes of the accident, and to prevent the same type of accident from happening again. 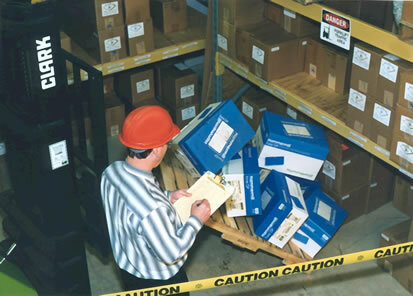 It's important to remember the goal of an accident investigation is not to assign blame or get anyone in trouble. It's to prevent anyone else, including you from being injured. But before we discuss how to investigate an accident let's talk about how to prevent from happening in the first place. A near miss is an incident which, under slightly different circumstances, could have resulted in an injury, or damage to equipment or materials. In other words, an accident waiting to happen. Near misses can warn us about a problem before something more serious happens.